Time to open another box. I've been subscribed to Glossybox for over a year now and I have honestly been thinking of cancelling my subscription for a while. 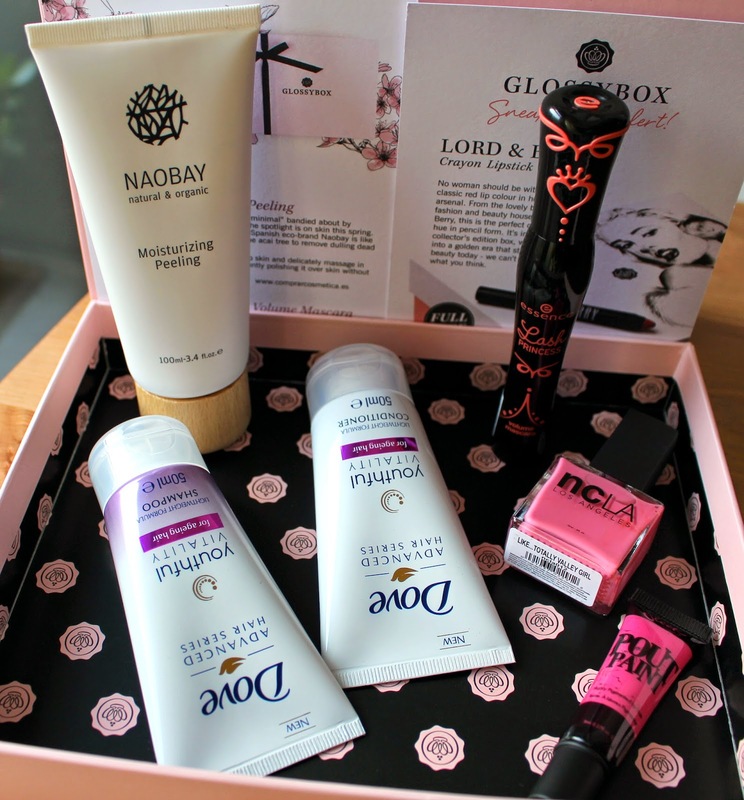 Then suddenly this happens - this month's box is full of interesting brands I have never heard of! This month we have 5 full size products for only £10 + P&P. Spring is finally here with a 'Step into Spring' theme. The new season brings a fresh approach - more colours, new products and a change to our beauty regime. 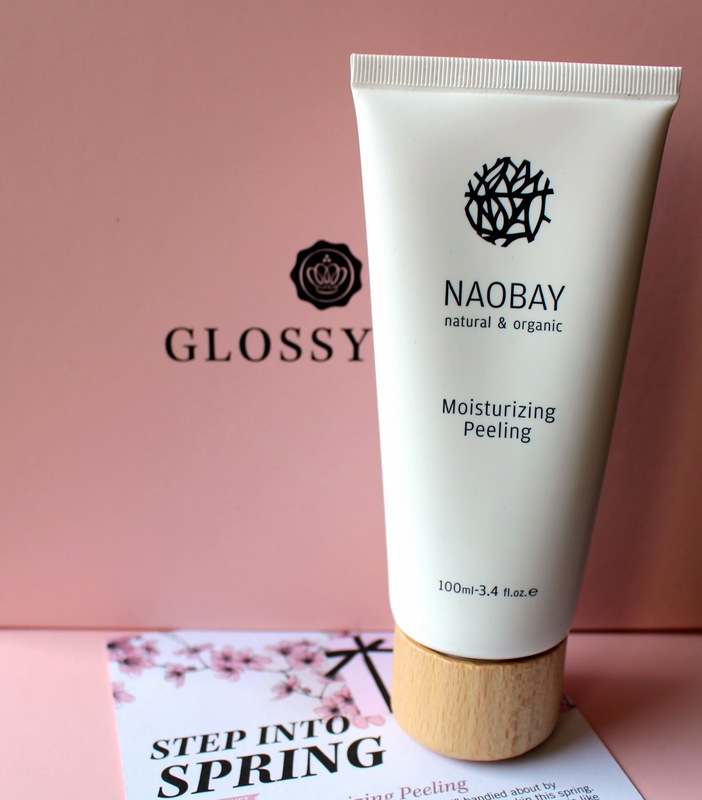 NAOBAY is a Spanish eco-brand with an amazing message - natural and organic ingredients are better for our body and the environment. The packaging is stylish, attractive, unique and every container comes from recycled or recyclable materials. This organic facial peeling milk with particles from the Acai palm tree peels gently, exfoliates the skin and removes surface cells and impurities. It helps reduce the appearance of fine lines by combining Olive oil, Shea butter and Sweet Almond oil with Gotu Kola extract that helps soothe the skin after the peel. This lightweight and hydrating duo helps to heal long and ageing hair, replenish lost nutrients and leaves the hair stronger, sleeker and looking twice as thick. 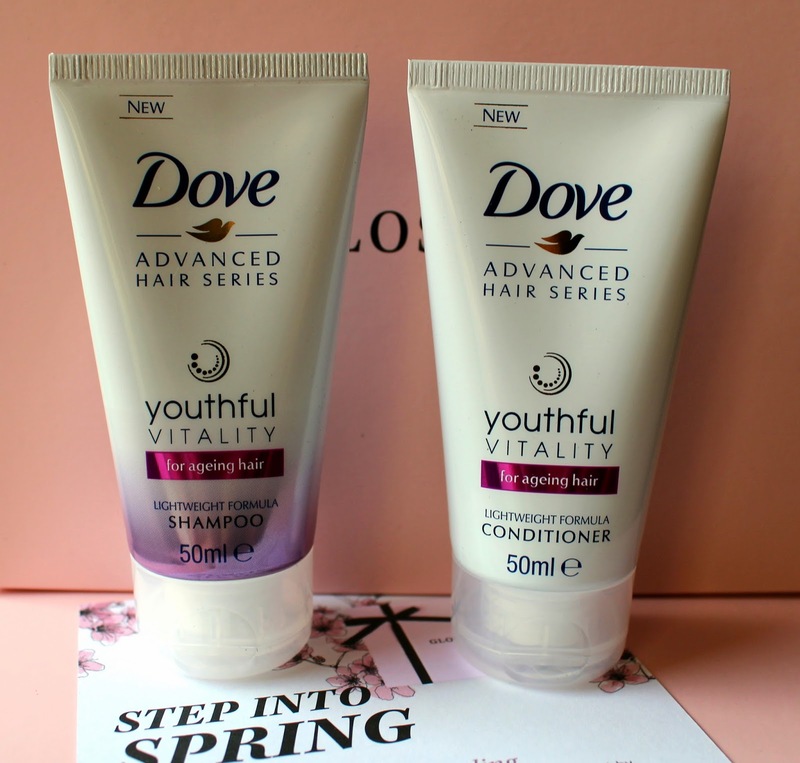 I am not a big fan of Dove products but I guess it can only be good and healthy to change your shampoo and conditioner once in a while. I will give these two a chance. With a price tag of £3.30, I am not expecting much from this mascara. 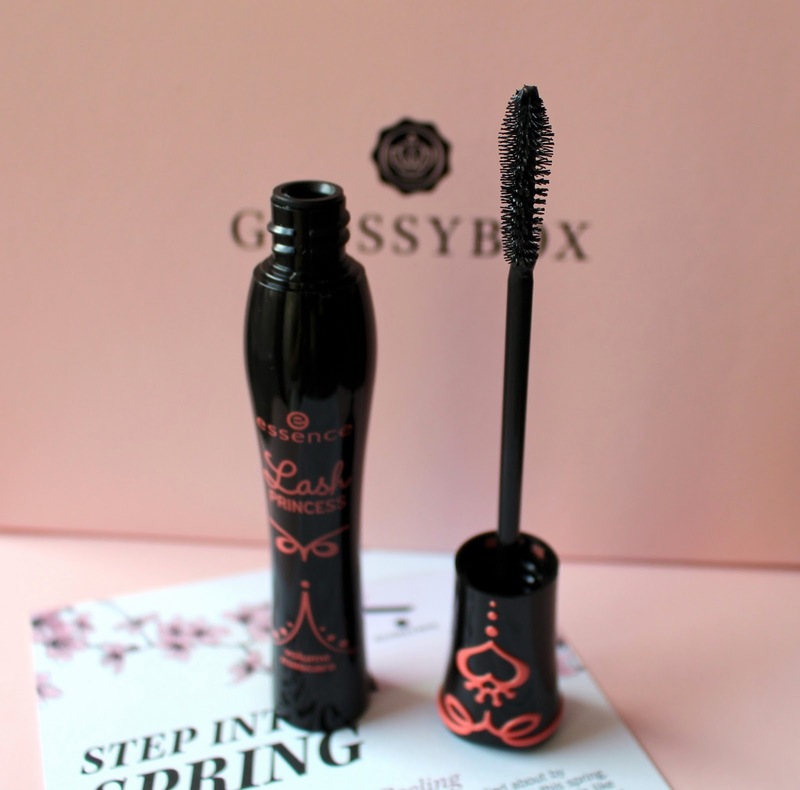 The new lash princess mascara has a specially shaped cobra brush which promises to cover each individual lash for breathtaking volume with a great curl. I am really picky about mascaras and there are only a few I can say that work for me. I will definitely test it out, as I am super curious to find out how well it will work on my eyes. Sleek MakeUP is one of my favourite drug store brands, so I was really happy to find it in the box. 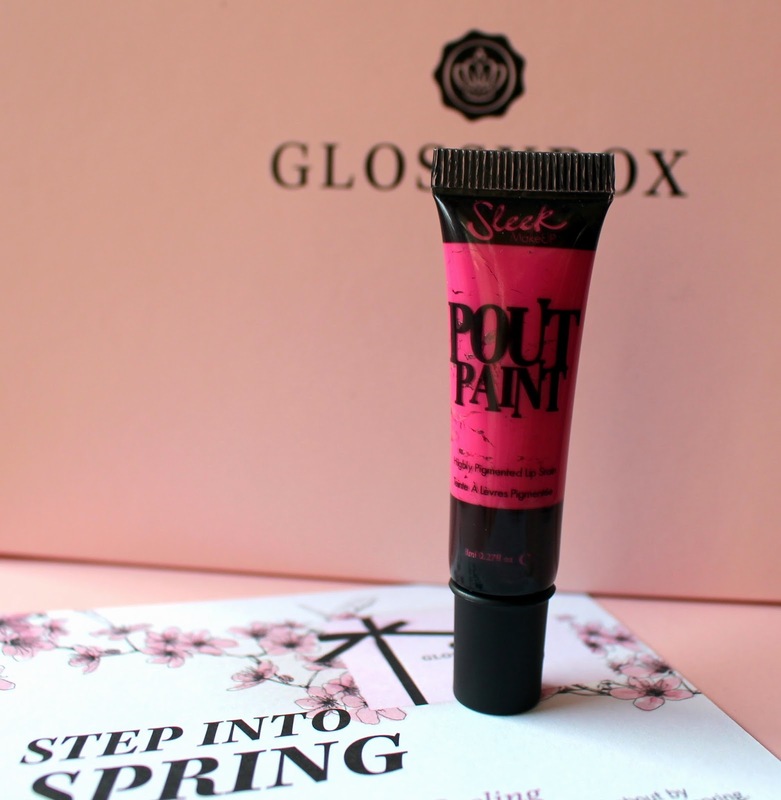 I have never tried their Pout Paint though, so it is quite an interesting product for me. It has a high pigmentation, provides lips with intense colour and has a long-lasting finish. Pout Paint is made to be mixed with another lip colour for different shades, so the possibilities are endless. I have not heard of this brand before but apparently it is ncLA's best selling shade. It is free of toxins and has a quick-dry formula. I love neon pastel colours, so I love this beautiful pink colour to start Spring! 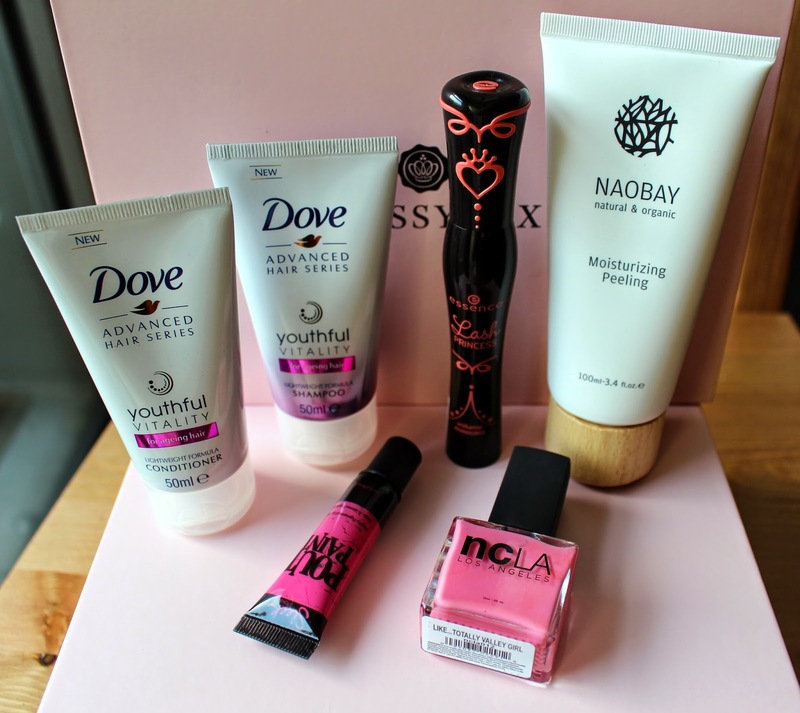 I think Glossybox this month has made an improvement, I hope they keep it up!